Dr. Toby Maw of the Manufacturing Technology Centre in the United Kingdom will deliver the keynote address at the 2017 Quality Information Framework (QIF) Symposium. The 3D Collaboration & Interoperability Congress (3D CIC) and QIF Symposium will be held in Golden, Colorado on October 3-5, 2017. Effective quality control requires the combination of design, manufacture and measurement. Data across these areas are currently being handled and processed by individual departments that each focus on their own specific domain expertise. This lack of integration limits the creation of usable knowledge from the process chain and makes it difficult to make global process improvements as knowledge from one area does not interact with or influence the optimisation of others. Digital technologies now cover the full process chain for each individual process. Those that can share information between stages can propose workflows that are significantly more valuable to industry, solving traceability issues, version control, integration with existing management systems etc. In metrology, QIF contains the structure to hold information from every stage in the process chain, supporting interoperable data and making end-to-end workflows possible. 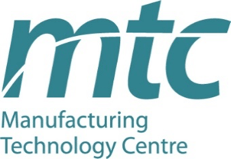 One of the aims of the digital engineering team at the MTC is to begin to unlock the potential benefits from combining inspection results with design and manufacturing data and creating usable knowledge from the entire process chain. This presentation will focus on attempting to ascertain the applicability of the QIF standard’s structure to work in the wider world of manufacturing to drive improvements throughout production. This enables: the optimisation of final part quality, reducing scrap and rework; adaptive inspection, reducing cycle times and load on measurement equipment; and aiding route cause analysis, exposing the reasons behind build failures. Toby Maw is a Senior Research Engineer and Core Research Programme Coordinator in Metrology & NDT at the Manufacturing Technology Centre (MTC) in the UK. His research background stemmed from a PhD in experimental physics from Loughborough University in the field of the characterisation of novel materials. He has 6 years metrology experience having worked at Nikon Metrology for 3 years in the coordinate measurement machine software development team before joining the MTC, where he now leads the Computer Aided Inspection and Quality research area. Toby has managed and technically led projects across multiple sectors, specialising in the area of digital measurement integration. The 3D Collaboration & Interoperability Congress featuring the Quality Information Symposium focuses on 3D CAD collaboration and interoperability for the entire product lifecycle. With the 2017 theme of UNITE: Engineering & Shop Floor Collaboration, real users share their experiences with turning design concepts into manufacturing product reality using 3D models. The joint 3D CIC and QIF Symposium event will be held October 3-5, 2017 at the American Mountaineering Center in Golden, Colorado. Find out more and register for 3D CIC + QIF Symposium at 3dcic.com.